The first of two stainless steel arched spans has been hoisted into place for the Garrison Crossing in Toronto, Canada. 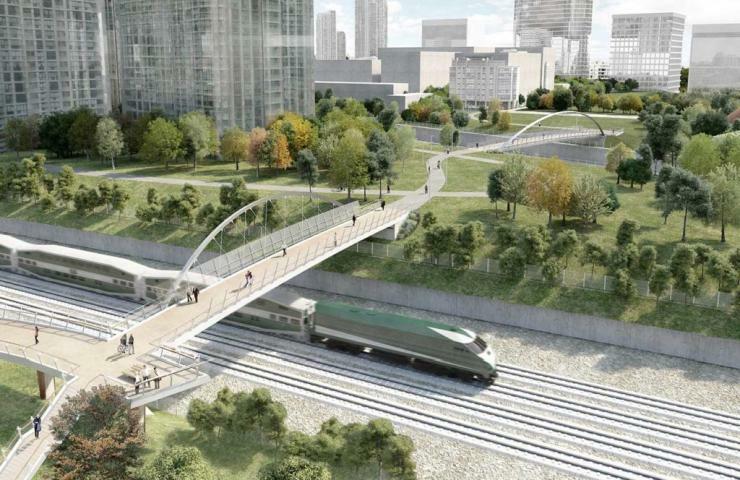 The pedestrian and cycle bridge will create a connection between Trinity Bellwoods Park in the north and the historic Fort York grounds in the south. A 600-tonne crawler crane lifted the 52m-long north span into position. Photo by Toronto City Planning chief planner and executive director Gregg Lintern. 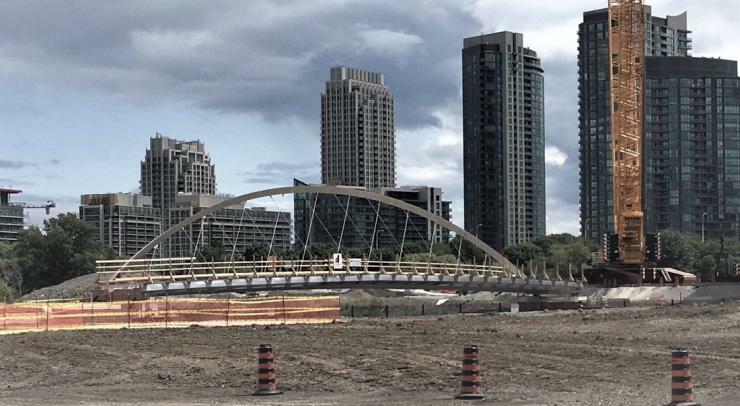 Installation of the stainless steel bridge - the first of its kind in Canada - is being led by CreateTO on behalf of the city's Waterfront Secretariat. Dufferin Construction Company won the contract to design and build the Garrison Crossing. The city's consultant for the project is WSP. The installation of the second bridge span, which will cross the Lakeshore West rail corridor, is die to take place in September.